I’ve totally got breakfast on the brain. 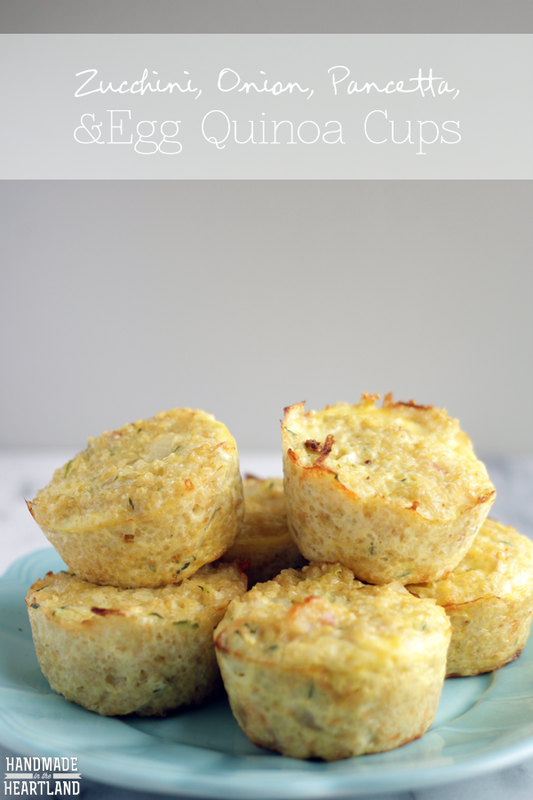 I’m heading out to Fox4 this morning to share some breakfast ideas and I’m totally into this one. Its like a quiche but not. 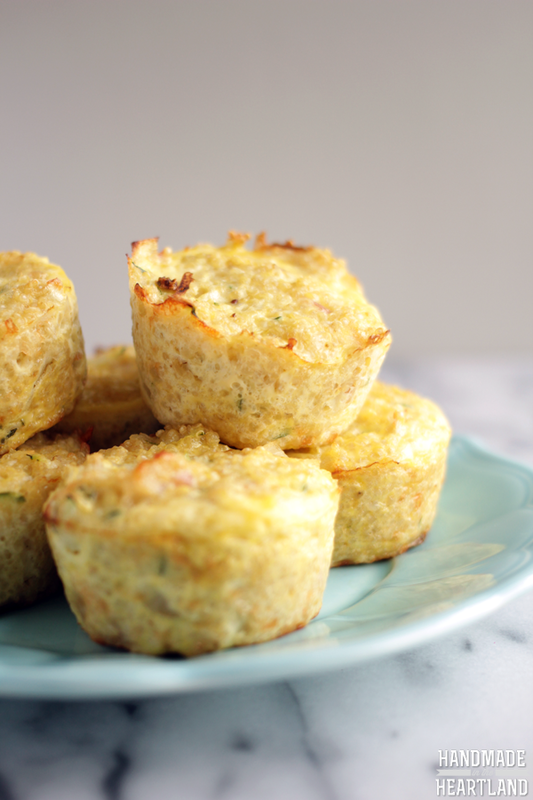 This little cheesy egg cup is a protein packed breakfast powerhouse that will fill you up. The recipe is versatile, add whatever veggies you want, I used zucchini and onion and then thew in some pancetta because I had some in the fridge and it was delicious. I’m sure it would be just as good with broccoli or mushrooms or whatever your preference may be. The quinoa makes it extra filling and as long as you throw some sautéed onions in there its sure to be flavorful. 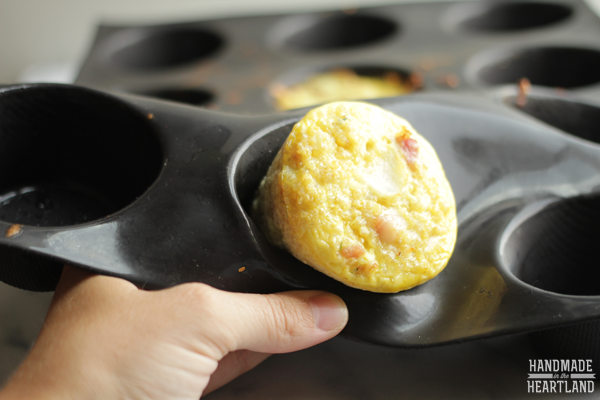 I used my amazing Demarle muffin tray because literally these babies just slide right out as seen in the photo above. 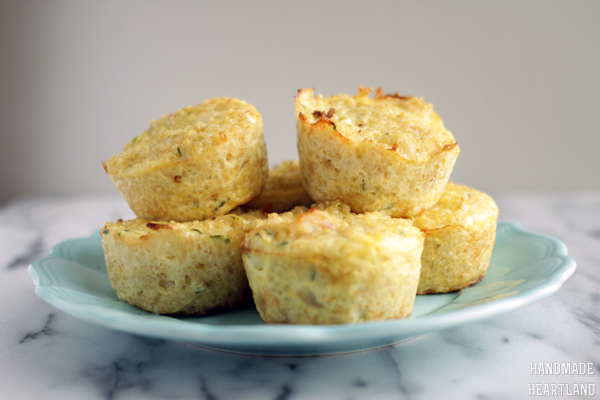 This recipe makes 12 muffin cups full and although you probably won’t scarf them all the first day just keep them in the fridge to heat up through the week, or you could freeze them too. I love planning ahead and having already made good food in the fridge or freezer. Am I crazy because it makes me feel a real sense of security? ha. Preheat your oven to 375. First cook your quinoa according to package instructions. If you own the Demarle medium or large round mold and octagonal silpat you can cook it in the microwave, just place the quinoa and water in round mold and cover with octagonal silpat. Cook in microwave for 5 minutes on high. Stir and cover for 5 more minutes at 50%. Cook the onions. Dice your onion and saute over medium heat with 1/2 tablespoon of oil. Cook until beginning to brown, about 10 minutes. Meanwhile mix up your eggs in a large bowl and add the zucchini, parmesan, italian cheese and pancetta (you can sub out bacon if you wish, or use no meat at all). Once the onions & quinoa are done add them to the mixture. 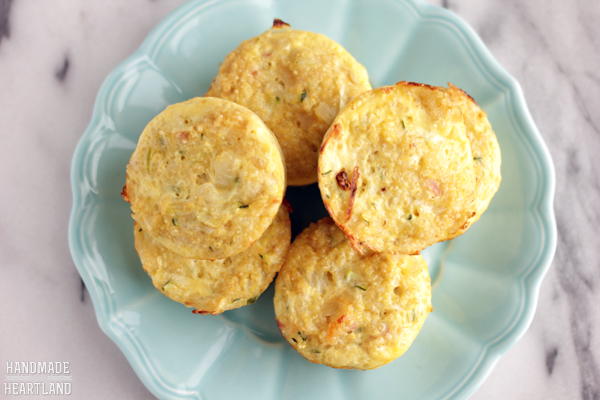 Spoon out about 1/3 cup into each muffin cup and bake for 20-25 minutes. Let cool for 5-10 minutes and then serve.